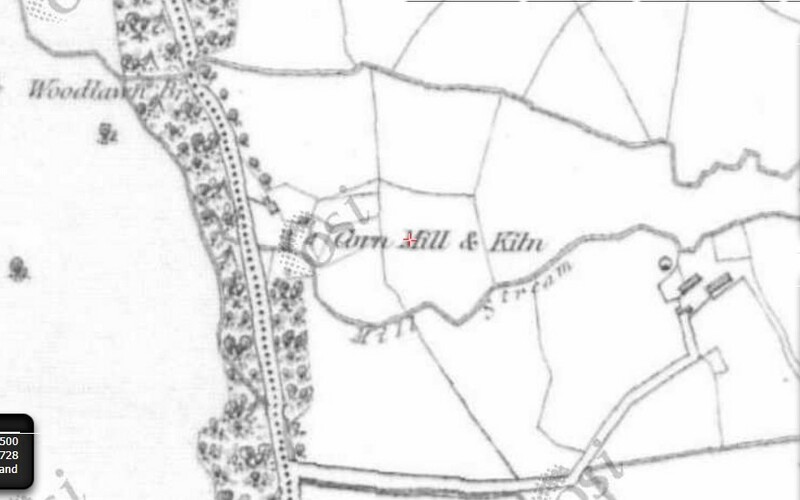 The site of a corn mill and kiln is located to the north of Killaan Cross. It is visible on the 1st Edition Ordnance Survey map which dates to 1840 -1842. A mill stream, or mill race to the south of the mill would have powered the mill wheel. The kiln may have been used to dry the corn. This page was added on 15/08/2017.